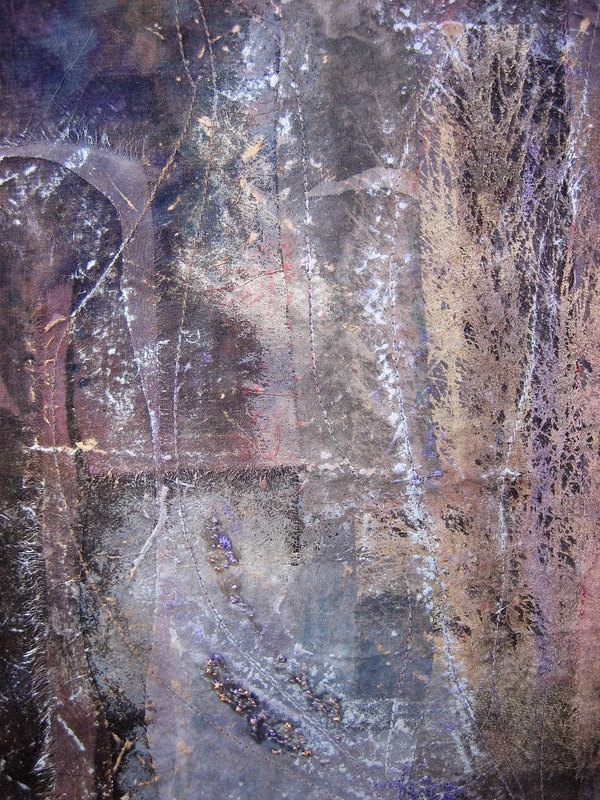 I am thrilled to be an invited artist for "The 100" to be held on February 4, 2015. The goal for this fundraiser is to raise $10,000 in one day!! 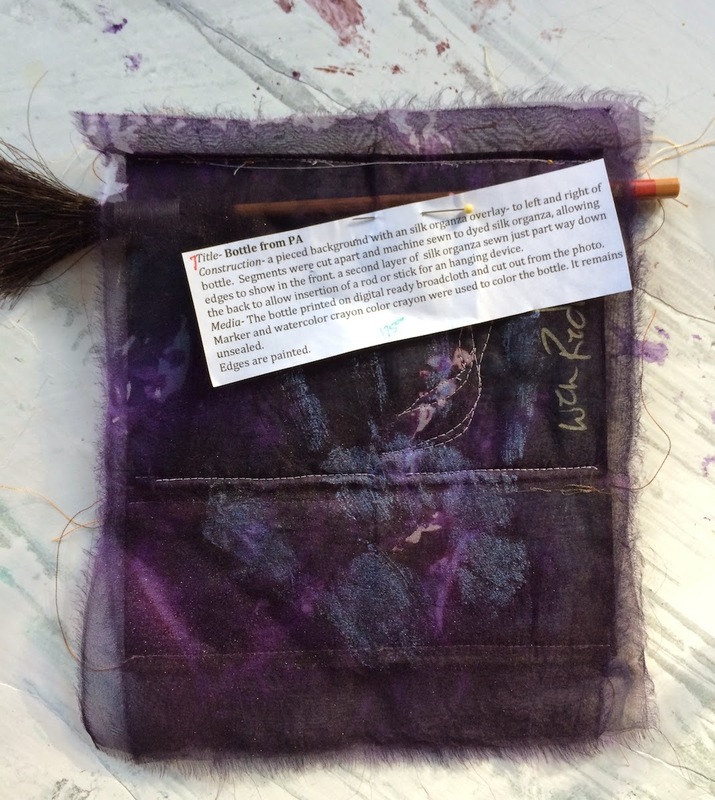 Fiberart For A Cause has already raised $240,000 thanks the amazing Virginia Spiegel and the generosity of fiber artists and patrons. My work has recently been published in the new Dec/Jan Quilting Arts Magazine 2015 in my article "Mini Puzzle Quilts" Not only will you receive the mini-quilt but the magazine in which it has been published! 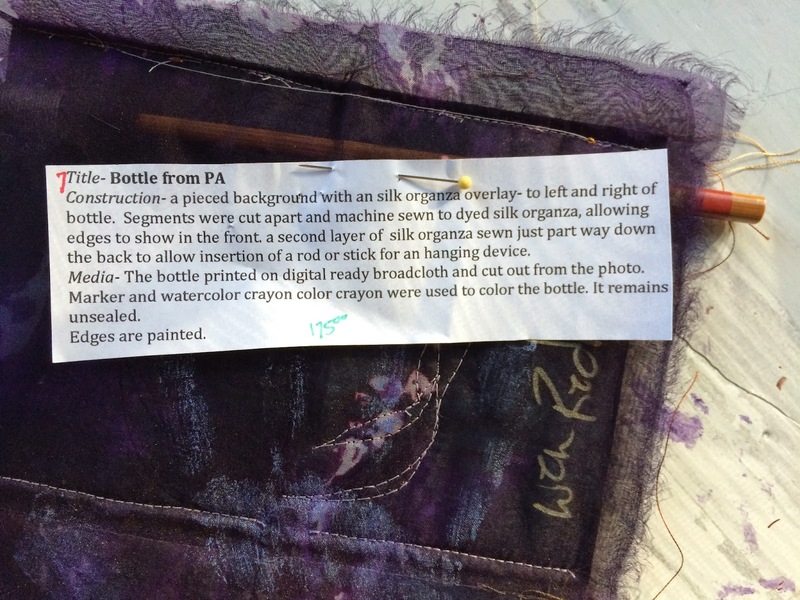 "Bottle from Pa" includes the brush hanger too! Almost a $200.00 value for a mere $100.00 and a donation for an excellent cause! "Your way begins on the other side. Painting fabrics is a spontaneous and wonderful thing to do when I don't have much time to work on intensive projects. I can splash on paint and spread it about, creating wonderful serendipitous color mixes, playing with print offs or adding thermal fax silkscreens from my photography. My other non-quilty pleasure! Some of these can be found on my Etsy Shop- for Sale if you would like! 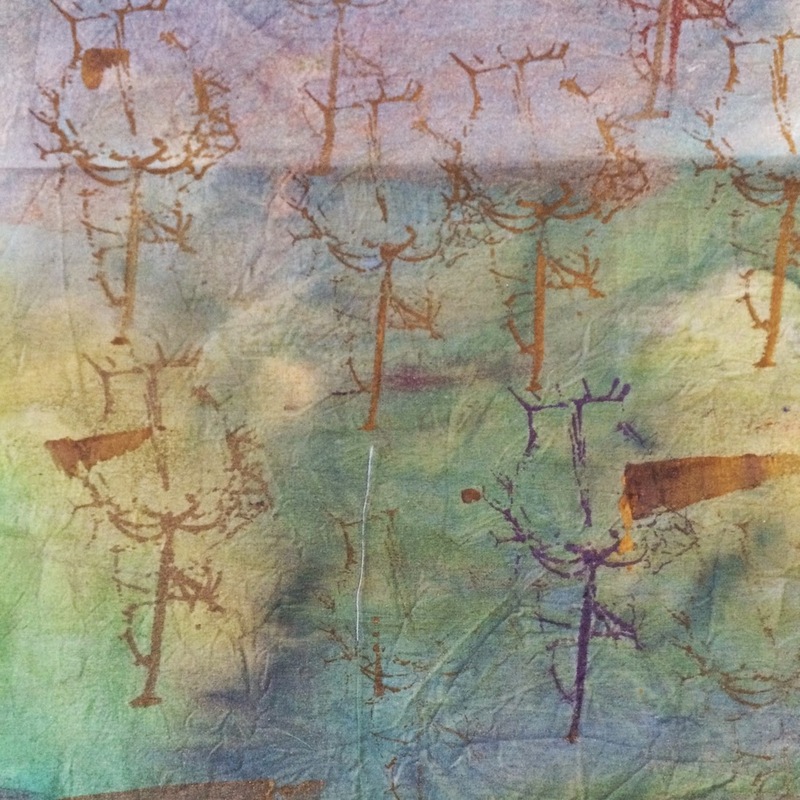 I'm sharing my Thermal Fax silk Screen technique at Village Goldsmith Gallery, Dover NH, this Sat, Dec 13 2014 from -10-4. Bring a plain T-shirt and I'll screen it for you! 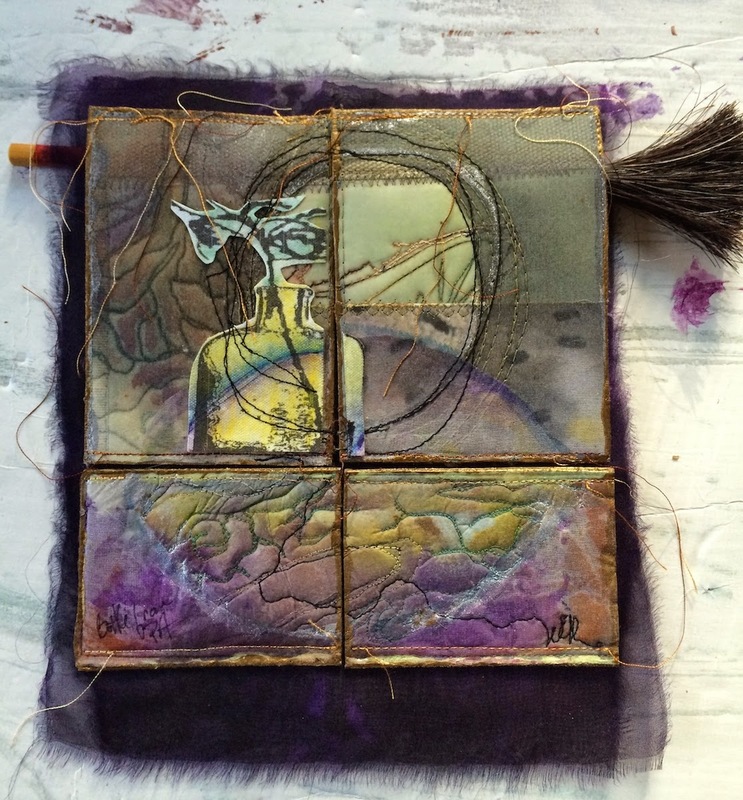 "Wen Redmond, mixed media fiber artist, will be on hand to demo some of her signature techniques. 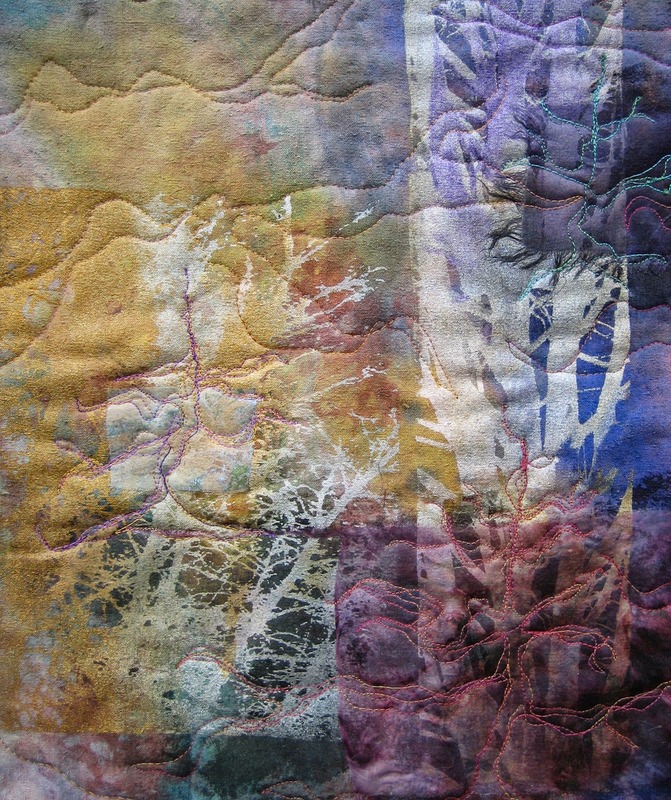 Wen mixes photography, printing and more with fabric for unique and interesting approaches to fiber art. Bring a T-shirt for her to do a Thermal Fax Silk Screen Image on! Wen will have samples to show, fabric to sell plus a huge inventory already at the Village Goldsmith Gallery! You won't want to miss this!" 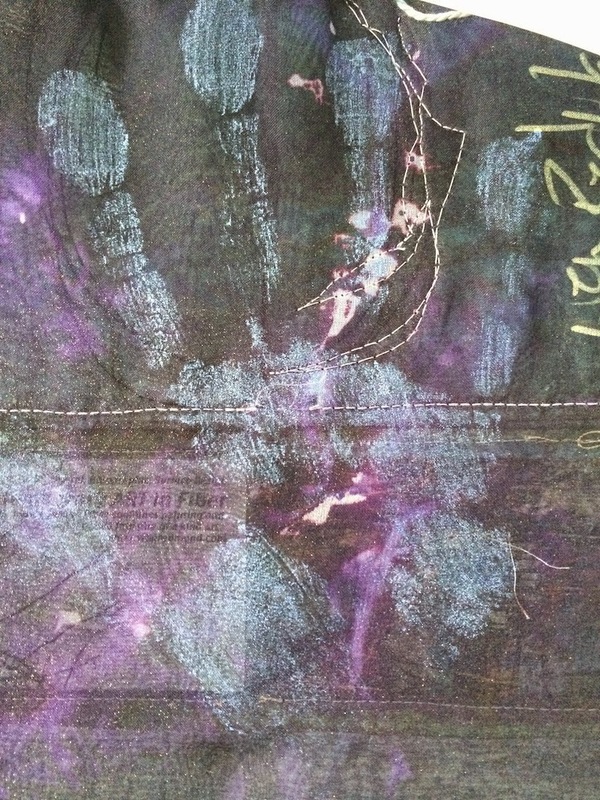 Just back from 3 days of fabric painting, thermal fax screening and using those fabrics to create our Holographic Images. 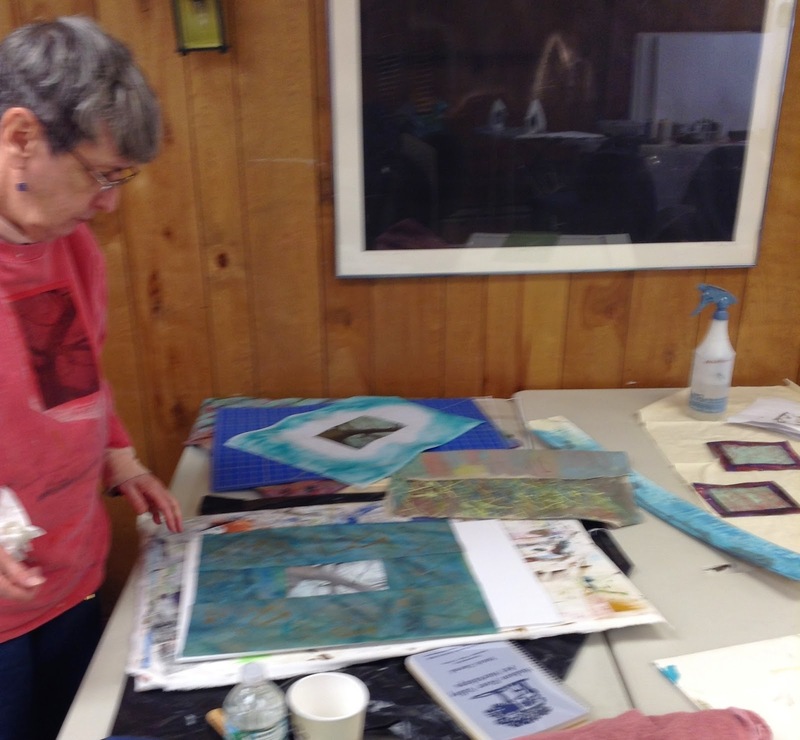 The workshop took place at Hudson Valley Art Workshops in Greenville, NY. They provide AC rooms, excellent gourmet food, and delicious cookies! Prepare to indulge! 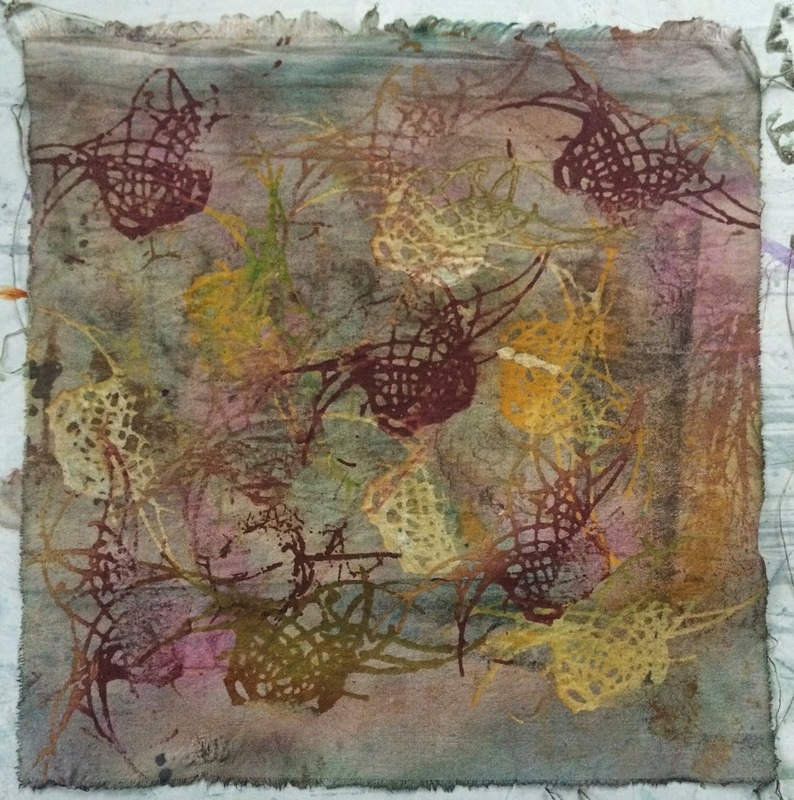 We spent the first day exploring painting and created several fabric to choose from for our border fabrics. The second day, we used our own images to create 4 thermal fax screens that were just the right size to add thermal fax screen details to our sewn borders! The last day we sewed and completed our Holograghic Images. A candid shot of our reflections from the demo mirror! Thank you Garrie, Lisa, Manon, Barb, Barbara, and Grace for being a gem of a class! It was challenging, wonderful and a truly unique teaching experience!